How to choose a user plan? 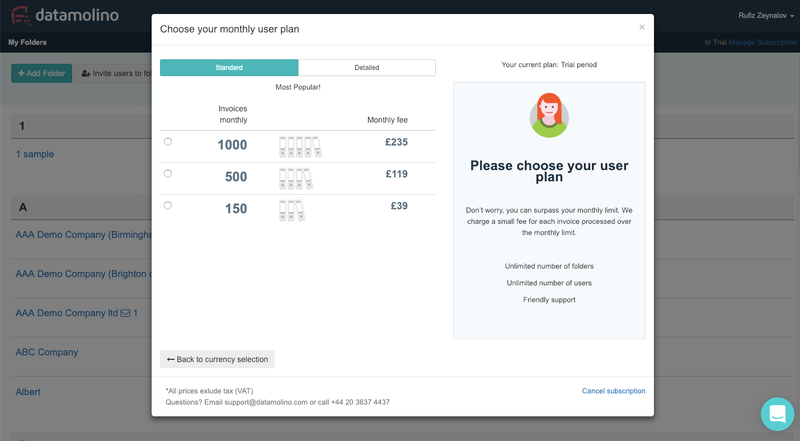 You can change your user plan at any time in your User Settings or if you click " Manage Subscription" on the navigation panel. Our friendly upgrade wizard will appear. Please choose your user plan.